Some men strain to achieve, to conquer; to pierce the heights of human endeavor in order to prove to themselves or to others their worth, their value and their solitary uniqueness. Others live in search of the heart and the center, and the center is the heart of God. And finding His center, they are centered. Their days are given not to find fame, but to fan the flame of truth that will light the lives of those within the circle of the glowing heavenly fire’s warmth and atmosphere. The handiwork of the Great Artist caresses the divine canvas with the resplendent hues of mercy, forming the likeness we behold as we gaze into a new morning’s mirror. Some seek anonymity because of false-perceived averageness. These see no exceptional value within themselves. They neglect the handiwork of the Great Artist upon Whose canvas a masterpiece has been painted by the brushstrokes of mercy in the likeness they view each time they gaze into a new morning’s mirror. In underestimation, these fail to give adulation to the great Gift Giver Who establishes in each life, large and small, important and unimportant, the gifts of His gracious hand – intended and assigned to provide encouragement, to inspire life, to spill out the sweet oil of love to those around them. So live, not in prideful deceit, which is wasteful and vain. Spend your days not in isolation from the very souls you have been sent to elevate. Live, arrayed in humility’s glad robes. Live beyond yourself, live for “them,” live for Him. Live, rather, arrayed in humility’s glad robes. Live beyond yourself, live for “them,” live for Him. And know that when we run, when we hide, when we turn away from His face and run another way, our way, when we move in our selfish way, our death-way, His heart only tugs at us, invites us, pulls us toward Him with the steady and determined strength of His love until we lose all options and we enter in, walk into His heart, we invade His stillness, we assume the place hewn there by the dagger of His love. 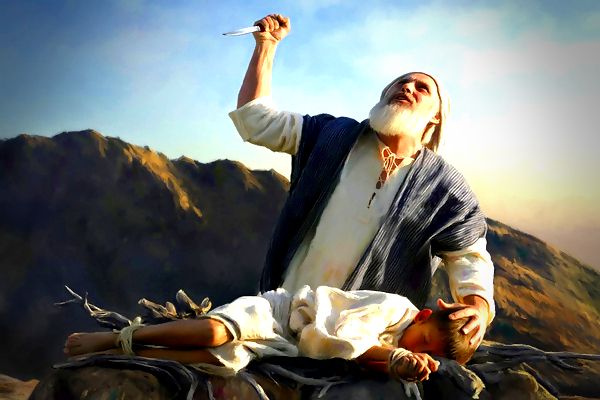 Deadly in appearance, fierce in its precisely honed sharpness, the knife, since it is in the Father’s hand will only, can only hurt Him, since it is applied only to His heart. The blade of His love pierces only Himself, and He protects, hides us in the cleft of the Rock, so that Jesus, God’s ordained sacrifice and our sin-pain covering keeps us from all harm as He bleeds the life of God on our behalf. Oh, the wonder, the matchless glory of His goodness and love. His stellar and pure heart beckons, calls, shows us His lighted pathway and the avenue to our heart’s desire, to our home, there, in the center of the Great Heart of God. Greg: The beauty of holiness comes through in your writings. Very inspiring. I am reminded of a few thoughts that have come to me over the years. Before His Love gets us killed, it got Him killed!